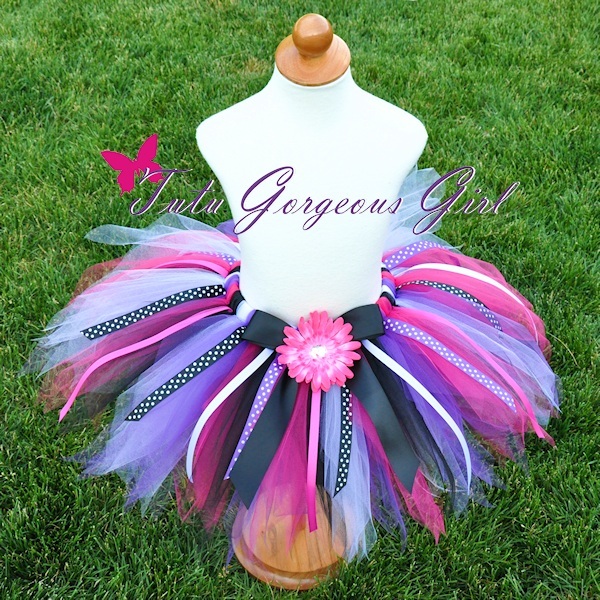 Girls Birthday Diva Ribbon embellished tutu, featuring purple, hot pink, white and black tulle. The Birthday Diva ribbon tutu features purple, white, black and hot pink tulle, and is embellished with coordinating polka dot and solid color ribbon streamers. 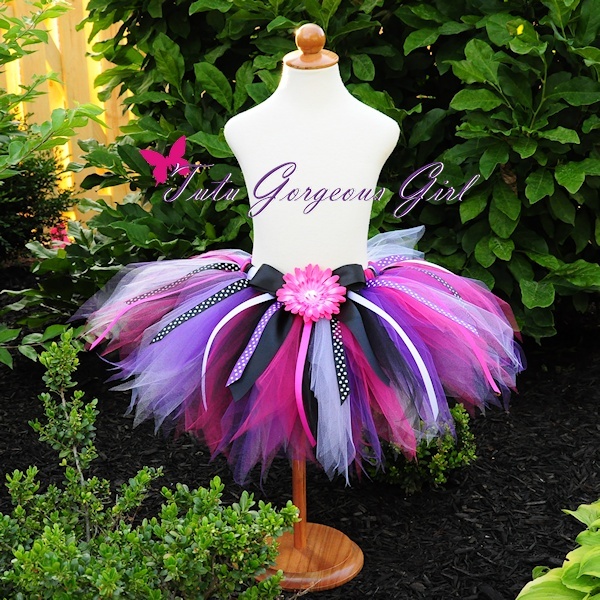 This is a fabulous tutu for a rocker themed birthday party, portrait session or Halloween costume. ©2019 tutugorgeousgirl.com. All rights reserved. Powered by Shoppe Pro. Web Design by This Chick Designs.